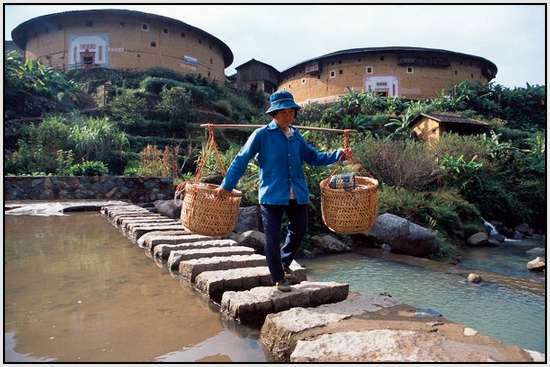 In 2008 UNESCO recognized the old houses ethnic Hakka in China as an official World Heritage, noting the historical, cultural and architectural value of these amazing structures. 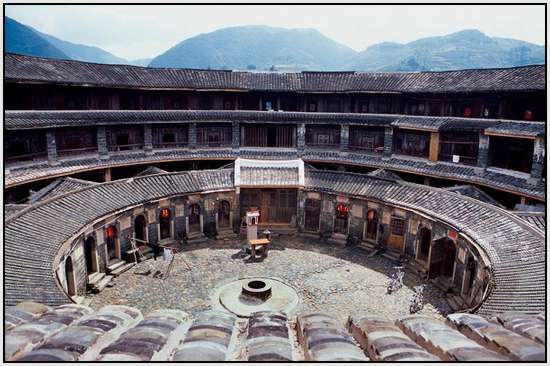 Built in the period from the 12th to the 20th century, each of these buildings can accommodate up to 800 people, forming a city within a city. 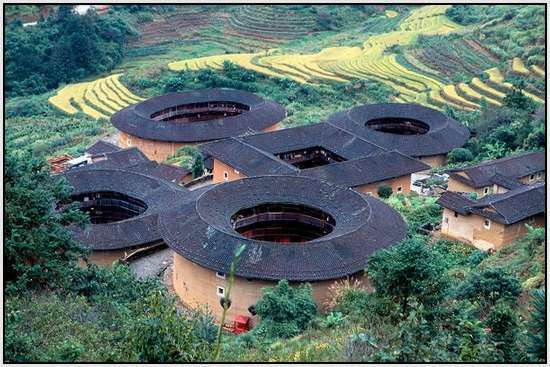 In Fujian, a large part of the coast of China, is located about 20,000 of these buildings. 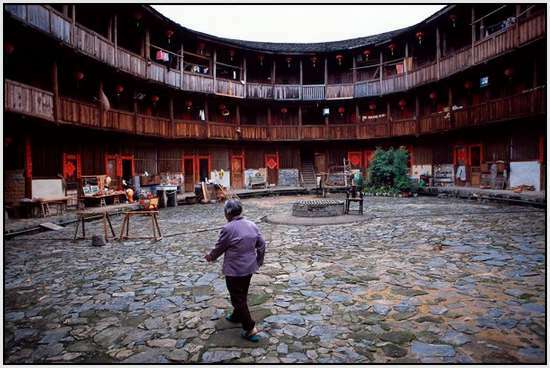 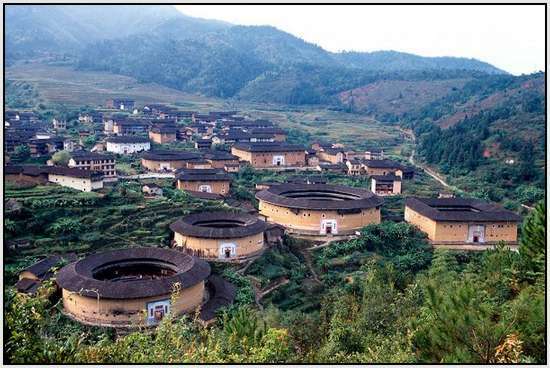 Also called Fujian Tulou, old houses are an important part of the history of this land, these structures protected local people against attacks of robbers. 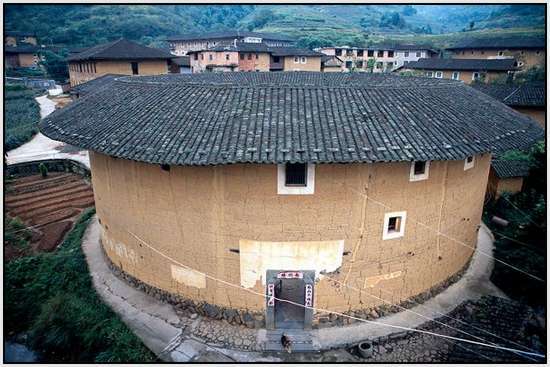 Typical Fujian Tulou ancient house has three to five storeys, surrounded by thick earthen wall - thickness of up to 1.8 meters in most buildings. 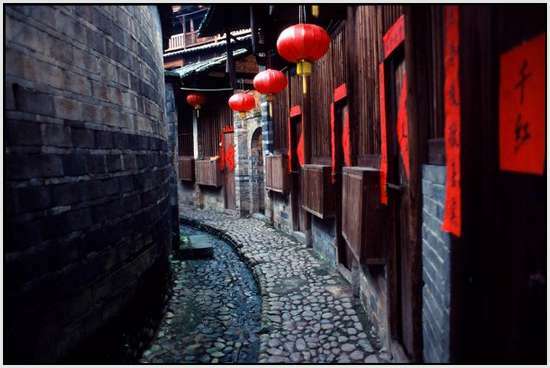 The only entrance was protected by a wooden door and 10 cm thick iron gates. 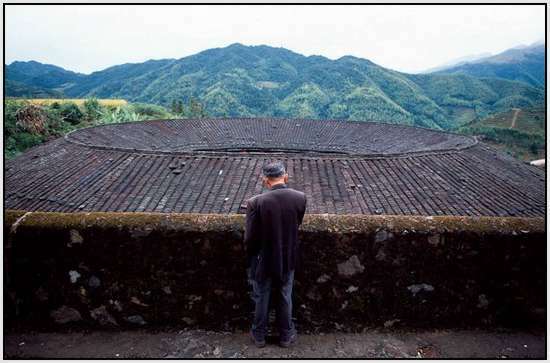 At the roof level were arranged loopholes to repel enemy attacks. 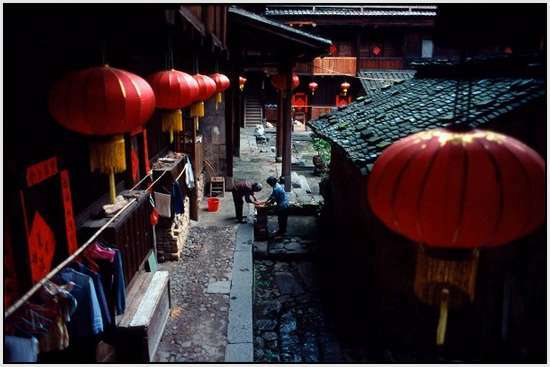 Aesthetically these old houses capture the spirit and beauty of the rural areas of China.